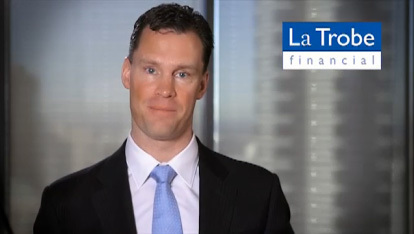 In our July Investor Update, La Trobe Financial’s Vice President and Head of Funds Management, Chris Andrews, reviews market performance in the first half of 2013 and considers the issues facing planners and investors for the rest of 2013. Click on the screen below to hear the update. La Trobe Financial is one of Australia's leading independent specialist mortgage Financiers. Its business includes residential mortgages, commercial mortgages, and investment services operating one of Australia's largest Mortgage Funds under AFSL 222213. It employs over 145 staff and has raised over AUD$10Billion to assist over 100,000 customers since inception in 1952. - The rating is only one factor to be taken into account in deciding to invest.